The Former Yugoslav Republic of Macedonia (FYROM) began preparations for the change of its constitutional name to ‘Republic of North Macedonia’ on Monday. Letters spelling out FYROM were removed from a central government building in downtown Skopje in a move that is in accordance with the Prespes Agreement. 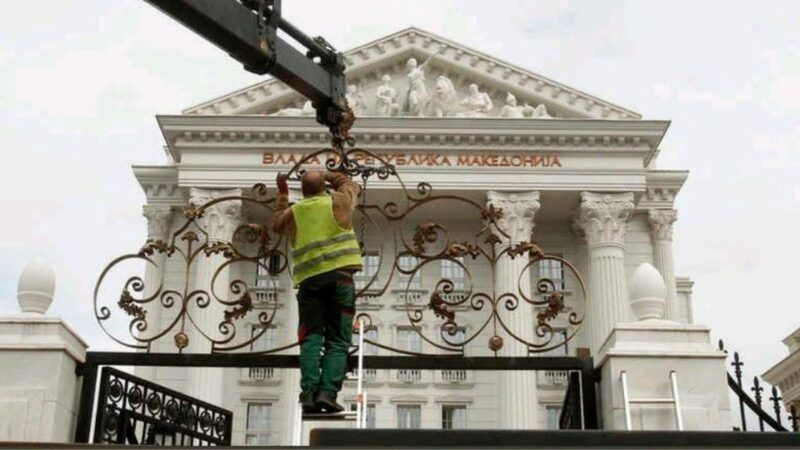 A ceremony, attended by FYROM’s Prime Minister Zoran Zaev, will soon be held at the building to celebrate the country’s new name – North Macedonia. The event will also be attended by ambassadors of NATO member states in Skopje. The building will bear the flag of the country, along with that of the NATO alliance. Road signs are also being changed at border crossings with Greece, including one opposite the customs office at Evzoni, Kilkis.